Woven into these landscapes are tales of love and betrayal, greed and courage, passion and revenge, featuring the famous characters of Celtic lore, such as Cu Chulainn, the children of Lir and Queen Maeve. The historical and archaeological facts and the folk traditions of each ancient site are explored. Some are famous, such as Tara and Newgrange; others are less well known but equally captivating such as the Beara Peninsula in Cork. In a world where many have lost touch with the land and their past, the legendary Irish landscape still survives and the stories are never quite over as long as there are people to tell them. 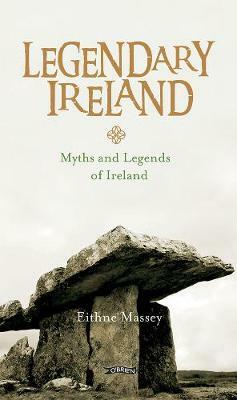 Eithne Massey's attractive book takes readers on a visit to 28 atmospheric locations across Ireland, each providing the cue for a retelling of the legends. ... An enjoyable book which evokes a time when storytelling had true status.